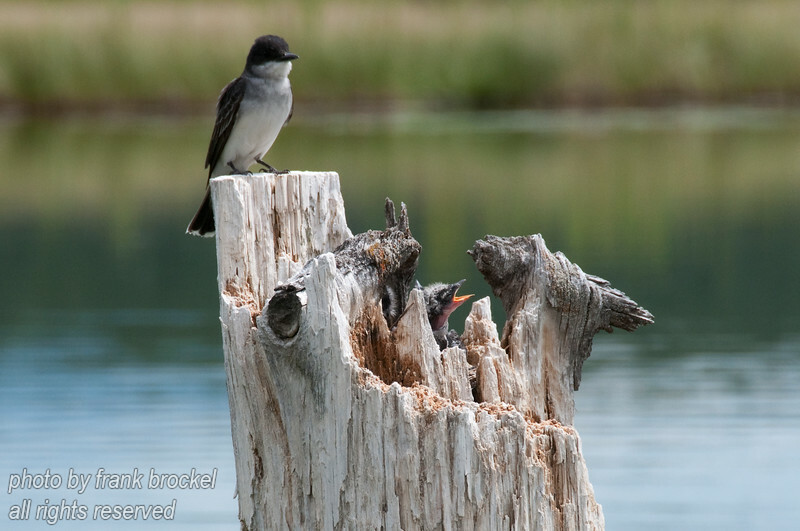 The Eastern Kingbird, Tyrannus tyrannus, is a large Tyrant flycatcher. I found a pair that have a nest in hollowed out stump in the lake. One of adults is sitting just above the nest.